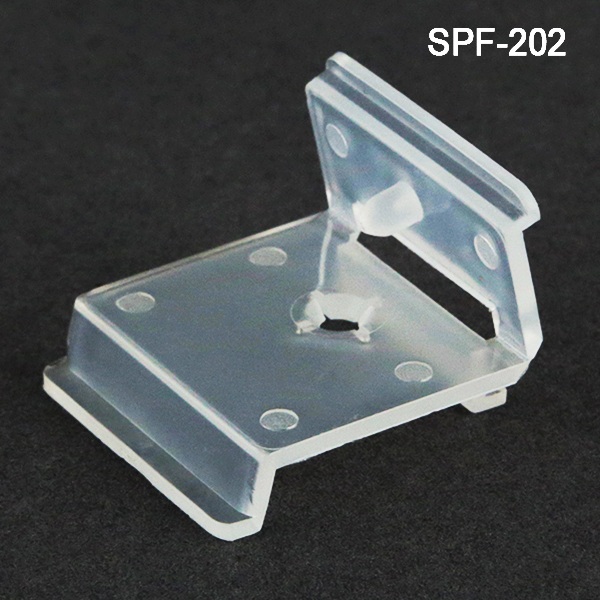 Minimum quantity for "Self-Piercing Flush-to-Channel Sign Holder, SPF-202" is 100. For brands, when a customer is staring at the shelf, you want to stand out in a crowd. What better than a sign facing directly at them and hanging right off the shelf. And for retailers, the same holds true, if you are looking to move certain product with a special promotion, use these reusable sign holders all over ther store and see those sales move. Clip Strip Corp. is a full service manufacturer of retail sign holders, product merchandising components and temporary display construction parts. We now have a growing line of store fixtures which will be expanding in proportion to our overall point of purchase product line.